For centuries ringing bells have signaled the welcome of the Christian church to all who would hear its gospel. At certain times and in certain places, however, prejudice has led the church to limit its welcome to its own kind. 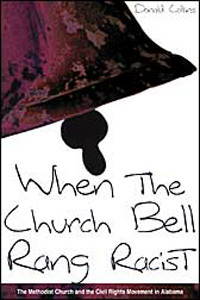 The Southern white church during the civil rights movement fell victim to racial prejudice and its bells rang a welcome only for those who supported the segregated status quo. Donald E. Collins tells the story of the Alabama-West Florida Methodist Conference and its reactions to the civil rights movement.